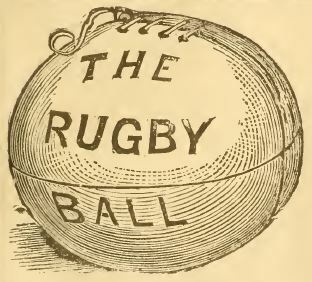 With the Intercollegiate Football Association's adoption of rugby-style rules of play, oval English rubgy balls soon replaced the "American Ball" on the field. By the late 1880's, all mention of the round "American Ball" disappeared from football equipment catalogs and advertisements and sporting goods companies, such as Wright & Ditson and A.G. Spalding, exclusively marketed imported English rugby balls for American football. As football's popularity grew in the United States, sporting goods manufacturers sought new ways to profit from the sport. 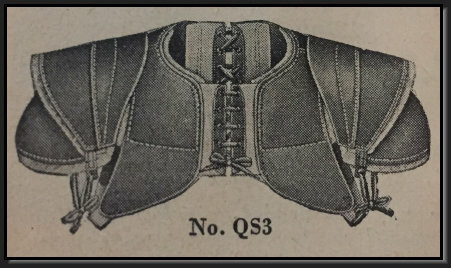 In 1892, Julian Curtiss of A.G. Spalding & Bros. journeyed to England to purchase tanned leather for the manufacture of footballs in the United States. 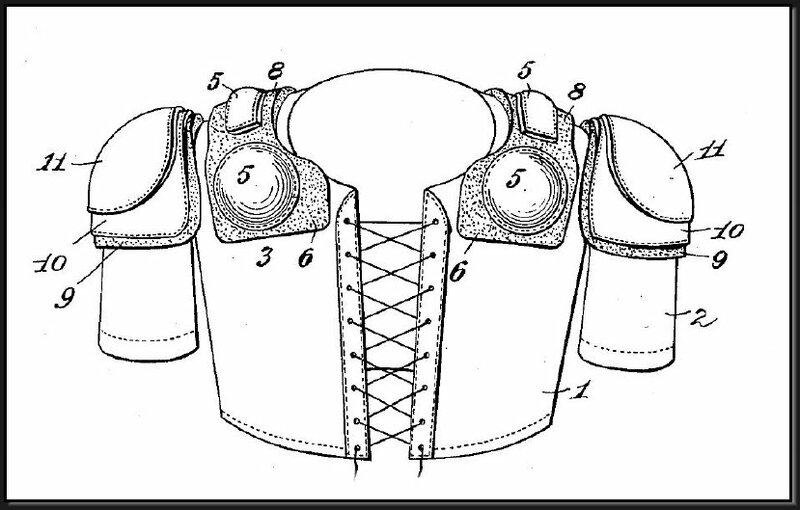 Later that year, Spalding's football descriptions were changed from "Genuine Imported" foot balls to foot balls with "specially imported" leather. 1880 A.D. - 1891 A.D. Sporting goods catalogs specified rugby footballs by circumference about the major axis of the ball. A "regulation" ball in 1880 measured 27" in circumference, while the girth about the minor axis was not specified. Period illustrations show balls with distinctly blunt or rounded noses. Rule 1.(c). The football used shall be of heavy leather, enclosing an inflated bladder, The ball shall have the shape of a prolate spheroid. In 1892, the Intercollegiate Football Association adopted A.G. Spalding & Bros.' No. J as the first official football to be used in all Association games. Whether the Association selected the No. J as the preferred ball or Spalding reached an endorsement deal with the Association, by 1900 it was "used by all the universities and colleges throughout the United States." In 1903, Spalding replaced the No. J with the No. J5, an improved, "pointier" model that also became the Intercollegiate Association's official football, a designation it kept until the mid-1930's. The No. J5 had a circumference of 28" about the major axis and 23" about the minor axis. See "March 2015 - Artifact of the Month" for additional reading. The Intercollegiate Football Association did not specify the official dimensions of the football until 1912. However, several 1870's and 1880's football catalogs reference "official" and "regulation" sizes. One such catalog was the 1879 Peck & Snyder Foot-Ball Rule Book featured as our March 2015 Artifact of the Month. In late 1905, at the request of President Theodore Roosevelt, representatives of over 60 schools met to reform the rules of football to reduce the growing violence of the game. The adopted rule changes sought to open up play and eliminate mass plays such as the flying wedge, that were partially to blame for hundreds of injuries and nearly 20 deaths on the football field during the preceding season. According to Spalding's list of "Alterations Appearing in Rules of 1906,"
"One forward pass shall be allowed to each scrimmage, provided such pass be made by a player who was behind the line of scrimmage when the ball was put in play, and provided the ball, after being passed forward, does not touch the ground before being touched by a player of either side." The forward pass was rarely attempted by most teams under the 1906 rules because an incomplete pass was considered a turnover. In addition, footballs of the day had such a large girth that throwing the ball overhead was a difficult task. Many football purists, including Walter Camp, considered the forward pass a gimmick play utilized by inferior teams to trick their opponents.